How To Read Chord Charts On The Piano! Today I'm going to teach you a little about chord charts. Chord charts are also called lead sheets. For this lesson, I am going to assume that you know how to build chords, be they triads, sevenths, etc. In normal sheet music, you will see the chord written as individual notes on the staff. A chord chart just has the name of the chord written above the staff. Simple major triads are simple, they are just written as the name of the chord, for example C. A major seventh chord is written one of two ways, either with a Maj7 beside it (CMaj7) or a triangle beside it. Both of them mean the same thing, there are just two styles of writing it. A dominant seventh chord is written with just the seven beside it, for example G7. A lowercase m beside the chord means that it is a minor chord. For example Dm is D minor, and Dm7 is a D minor seventh chord. A suspended chord can be written several ways, depending on which note is suspended. You may see something like Csus, Csus4, or even Csus2-4. 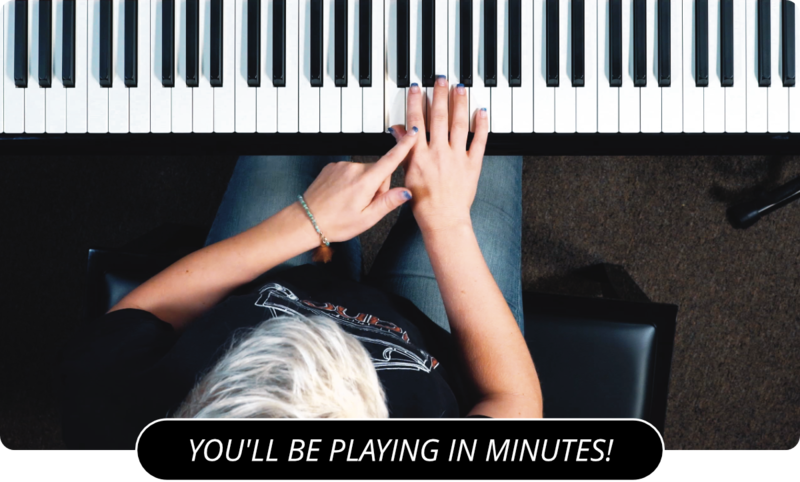 In order to really grasp a chord chart, you have to understand intervals and how chords are built up. If you have a C dominant seventh chord with a ninth added it is notated C9. A C chord with just the added ninth is written Cadd9. A C major seventh chord with the ninth added is written CMaj9. An augmented chord is written with a plus sign behind it. You may see C+, or C+7. A diminished chord is written one of two ways, either Cdim or with a little circle behind it that looks like the symbol for a degree. Hopefully this lesson made sense to you. If it did not, I suggest you go back and study the various types of chords and how they are formed and then revisit this lesson. Next, you can practice the song "Row Row Row Your Boat" .